On the flight back to Hong Kong I watched several movies. One was a documentary that was a labour of love called California Typewriter, named after the shop in Berkeley, California that repairs and sells old typewriters. 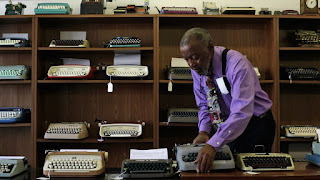 An African-American called Herb Permillion III, a former IBM employee, started the shop believing that people would go back to this mechanical machine, but his dream doesn't quite work that way -- there are fewer people interested, and more typewriters are dumped at flea markets. From the store we meet some customers who love typewriters and explain their connection to this machine. 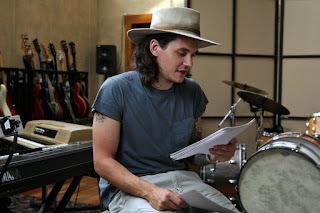 Singer-songwriter John Meyer talks about how he used to write songs on his computer and backed up all of them, only to realize he never looks back at these old lyrics; whereas when he types them out, it's easy to refer to and corrections can be made. Meanwhile author and historian David McCullough observes how it is important to see for example presidential speeches and how they were written and corrected, and that can only be done with speeches that were typed out. He says it's important in terms of history to understand what the president was thinking at the time. Others talk about their relationship with the machine. 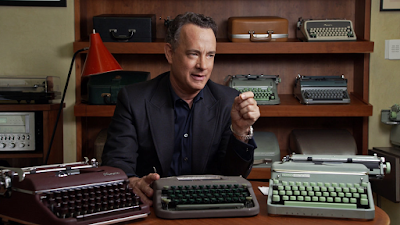 For example actor Tom Hanks enthusiastically talks about how he has a collection of 250 typewriters, and each of them makes different sounds when you type on them. One time one of his friends wanted a typewriter and he sent it to them only to find it parked on a shelf instead of being used. He says he prefers receiving notes that were typed on a typewriter than on email. Good to know. Playwright Sam Shepard talks about how he can write plays easily on his typewriter, that he never did get along with the computer screen. He says he feels closer to his words when he hits the keys that print the letters onto the paper that he can immediately touch. Perhaps in a spooky part of the film, Silvi Alcivar is able to compose poetry on the spot for people -- she never worries the words won't come out. 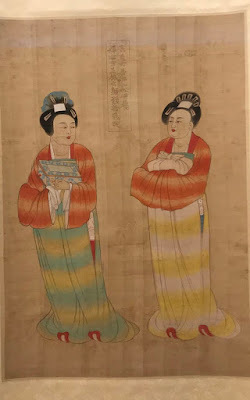 One time she wrote an elegant elegy of a woman who recently died and her husband was overwhelmed by how the poem touched him. 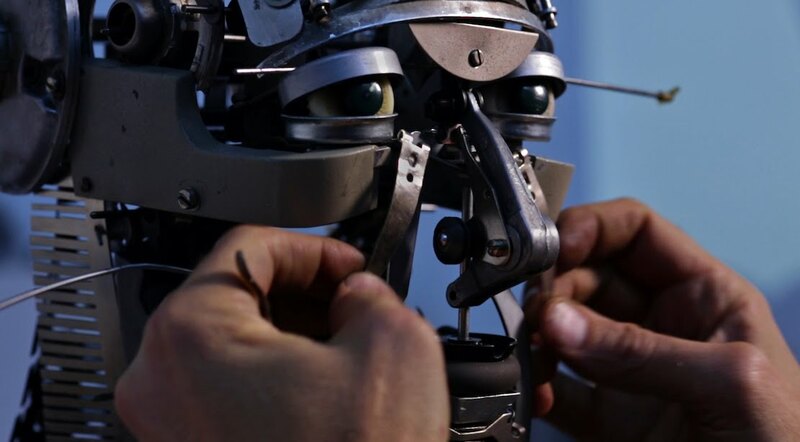 An interesting inclusion in this story is artist Jeremy Mayer, who, inspired by the movie Metropolis, takes apart typewriters and rebuilds them into sculptures. He admits getting a lot of criticism for what he does, but explains he loves typewriters too, just in another format. He is a struggling artist, but putting his work online has helped -- someone who bought his deer sculpture actually works in Silicon Valley. 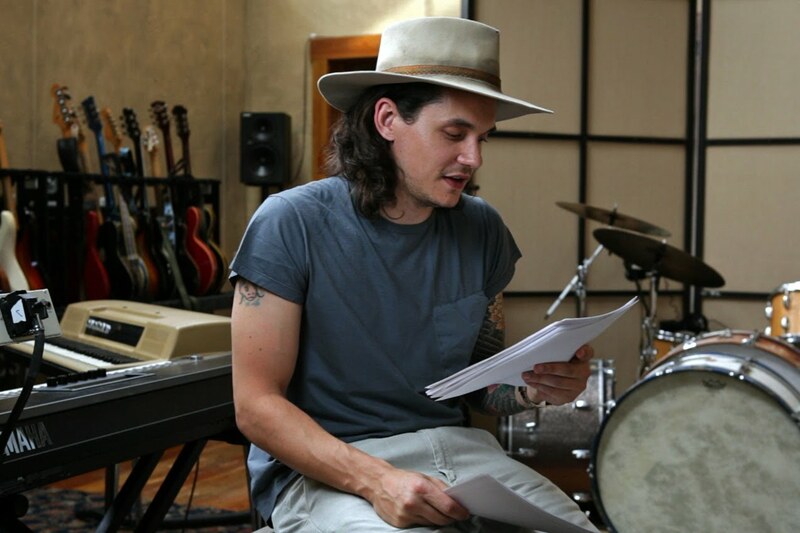 There are also those who turn to typewriters because they want to unplug themselves from the computer and go analog, much like people preferring vinyl over iTunes, or they definitely feel compelled to get away from computers, feeling they are taking control of their lives. Each of the perspectives are interesting, but some of the interviews could have been a bit shorter, and more infuriating is the lack of subtitles to identify the interviewees. Nevertheless, California Typewriter is much like a love letter to the machine. Perhaps it will inspire others to rethink their lives and actually invest in a typewriter. Wouldn't that make the shop owner Herb fulfill his dream?